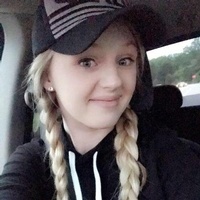 Michelle Lynn Pohl, age 22, passed away peacefully at her home Sunday, April 7, 2019, after a courageous battle with breast cancer, surrounded by family. She was born January 14, 1997 in Ann Arbor, MI, daughter of late Douglas Vern Pohl and Brandy Lee (Pomo) Copeland of Alpena, MI. Michelle was a member of the Alpena High School Class of 2015, where she enjoyed competitive cheerleading and gymnastics. She also enjoyed four-wheeling with friends. She moved to Belleville about four years ago. She is survived by her mother, Brandy Copeland; grandfather, Andrew (Keturah) Pomo of Ann Arbor, MI; brother, Bradley Pomo of Van Buren Township, MI; aunt, Deborah Pomo of Dexter, MI; boyfriend, Dave Losinski of Van Buren Township, MI; her golden retriever, Tucker; her two cats, Mittens and PJ; also numerous aunts, uncles, cousins and friends. Michelle was preceded in death by her father, Douglas Pohl in 1998; grandmother, Jean Pohl in 2004; and grandmother, Linda Newton in 2016. A Celebration of Life is being planned for Friday, April 26, 2019, at McRae Park starting at 6 p.m.
Memorial contributions may be made to METAVIVOR RESEARCH AND SUPPORT INC. Thank you for keeping Michelle and her family in your thoughts and prayers at this sad time. There's still time to send flowers to the Celebration of Life at the McRae Park at 6:00 PM on April 26, 2019.